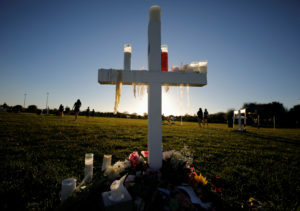 PARKLAND, Fla. — As families began burying their dead, authorities questioned whether they could have prevented the attack on a South Florida high school where a gunman took the lives of 14 students, the athletic director, a coach and a geography teacher. 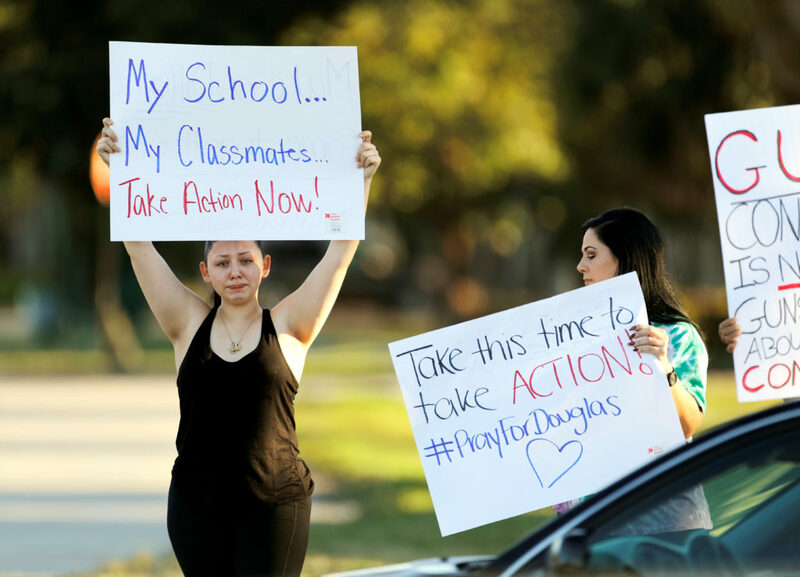 At funerals and in the streets of Parkland, a suburb on the edge of the Everglades, anger bubbled over at the senselessness of the shooting and at the widespread availability of guns. A rally to support gun-safety legislation was scheduled for Saturday at the federal courthouse in Fort Lauderdale. During a funeral Friday for 18-year-old Meadow Pollack, her father looked down at his daughter’s plain pine coffin and screamed in anguish as Gov. Rick Scott and 1,000 others sat in Temple K’ol Tikvah. He briefly paused as mourners, punched by the rawness of his words, began to wail. Not long after that funeral, the FBI said it received a tip last month that Cruz had a “desire to kill” and access to guns and could be plotting an attack, but agents failed to investigate. The governor called for the FBI director to resign. A person who was close to Cruz called the FBI’s tip line on Jan. 5 and provided information about Cruz’s weapons and his erratic behavior, including his disturbing social media posts. The caller was concerned that Cruz could attack a school. The FBI investigated the remark but did not determine who made it. Attorney General Jeff Sessions said the shooting that killed 17 people Wednesday was a “tragic consequence” of the FBI’s missteps and ordered a review of the Justice Department’s processes. He said it’s now clear that the nation’s premier law enforcement agency missed warning signs. In more evidence that there had been signs of trouble with Cruz, Broward County Sheriff Scott Israel said his office had received more than 20 calls about him in the past few years. Cruz was being held without bail at the Broward County Jail on 17 counts of first-degree murder. Authorities have not described any specific motive, except to say that Cruz had been kicked out of the high school, which has about 3,000 students and serves an affluent suburb where the median home price is nearly $600,000. Students who knew him described a volatile teenager whose strange behavior had caused others to end friendships. News of law enforcement’s admissions enraged those in the community. Across the internet, students who were caught in the crossfire at the school spoke out. Some took politicians to task on Twitter. A 17-year-old junior wrote an essay for CNN, saying that he and his classmates planned to pressure politicians into taking action. One student asked President Donald Trump to meet with her. Some teens have been critical of Trump for failing to mention guns in his comments about the attack. On Friday evening, Trump visited a Florida hospital where he greeted medical staff and thanked the doctors, nurses and first responders who helped the shooting victims. He told reporters he also met with some of the victims who are still hospitalized. He later met with members of the Broward County Sheriff’s office and local law enforcement, including Coconut Creek Police Officer Mike Leonard, who said he was the one who apprehended Cruz. Sidney Fischer, a junior who was in a Holocaust history class when the shooter aimed his gun at the window and shot into the room, went on Reddit on Friday to recount his harrowing experience and answer questions. Two students in his classroom died, and one of the slain students, Joaquin Oliver who went by the nickname ‘Guac,’ had just been transferred into his algebra class. “I can’t believe that when I go back to school, his seat will be empty and life will just go on,” Fischer wrote.